Time Medical sponsors the Advanced Small Animal MRI/CT Diagnosis and Reporting Symposium organizes by the Taiwan Companion Animal Medical Association at the National Taiwan University Veterinary Hospital. Thanks for the detailed lecture by Dr. Hitoshi Shimazaki and the great interpretation by Dr. Hao-Jan Cheuh. Thanks to Dr. Tony Tsai providing such a great platform for Time Medical. 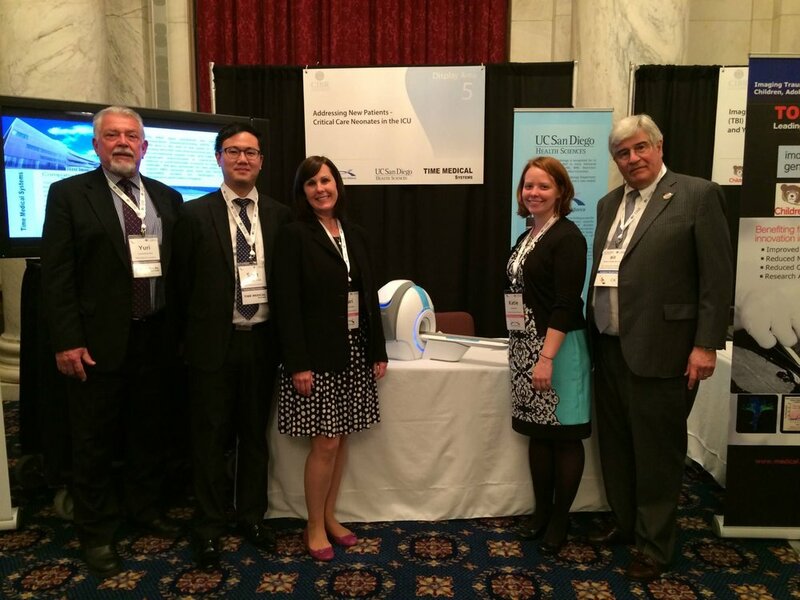 Time Medical Systems, a member of Steering committee of the Academy for Radiology & Bio Medical Imaging Research / CIBR, http://www.acadrad.org/cibr-steering-committee/ recently participated in the 9th annual Technology Showcase that was presented on Capitol Hill in Washington DC on April 10th. 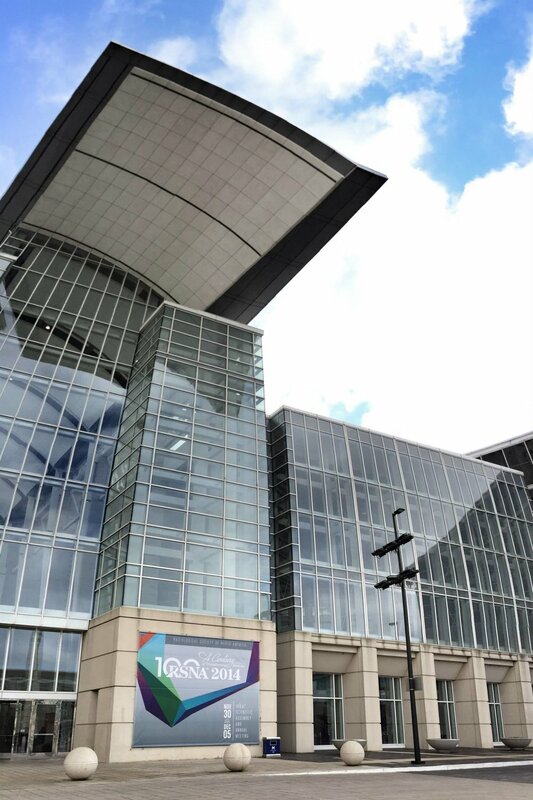 As in previous years, Time Medical along with numerous Academic members and other leading Imaging Industrial partners presented advances in imaging technology along with their benefits to diagnostic medicine and their benefits to overall health improvements for patients. Many exciting topics were reviewed. This year Dr Yuri Wedmid presented a new 7T PreClinical MRI that was described for use in early studies of various diseases especially with new drug development. Using such systems on smaller animal models is often a rapid way to explore drug benefits without the early risks associated with natural product screening and pharmaceutical testing for safety and efficacy. Several independent posters by academic researchers using animal models such as Rabbits and Rats supported the utility of higher field MRI exploration in preclinical studies. Interest was strong and encouraging for Time Medical Systems and its future roadmap for nee developments in the area of new Preclinical MRI at 7T, 9.4T and higher Magnetic fields - that are not yet achievable for larger human studies. 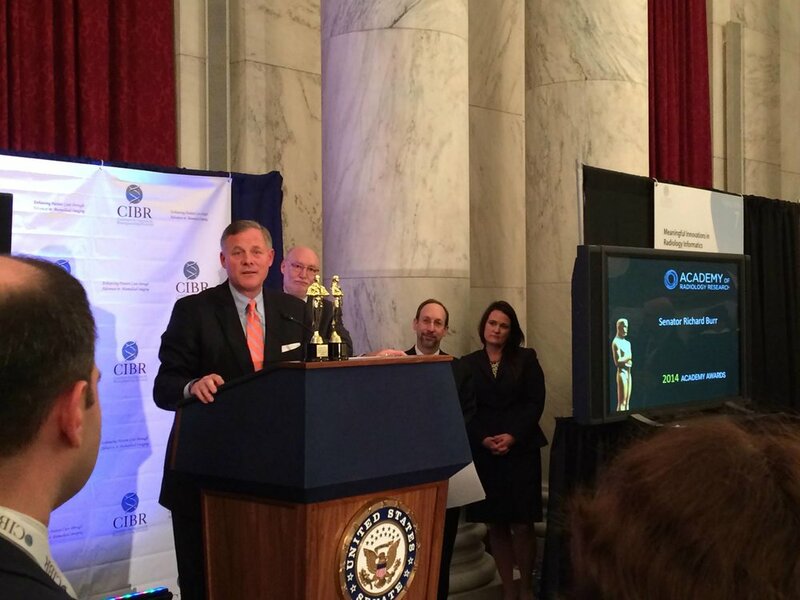 Time Medical System has been a long term supporter of the Academy and CIBR and will continue to collaborate with the research partners in the CIBR (Coalition for Imaging & Bioengineering Research). 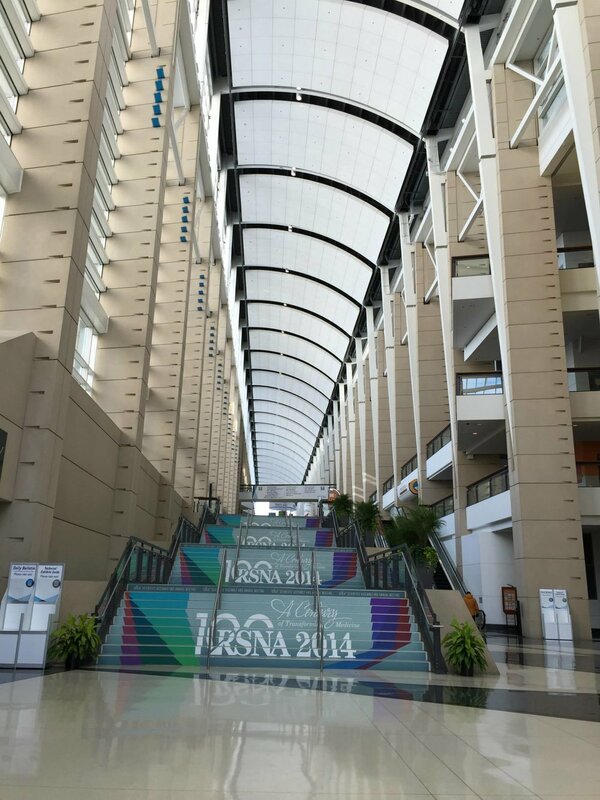 Chicago, USA, 6th December, 2016 – Time Medical Systems participated in the 102nd RSNA 2016 from 29th November to 1st December. 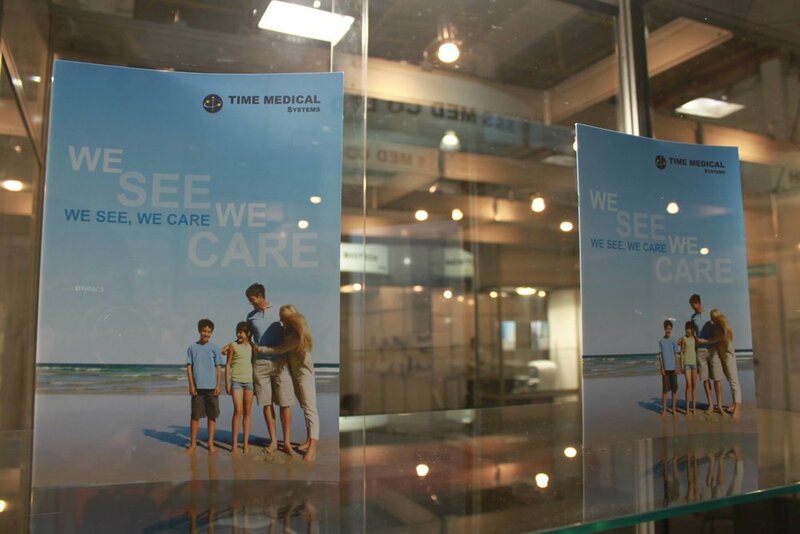 During the exhibition, Time Medical received the guests from USA, Canada, Germany, the United Kingdom, Finland, Switzerland, Ireland, Italy, India, Singapore, Israel, Egypt, Nigeria, Argentina, Colombia, Bangladesh, the Philippines, Syria, Ghana, Peru and so on. 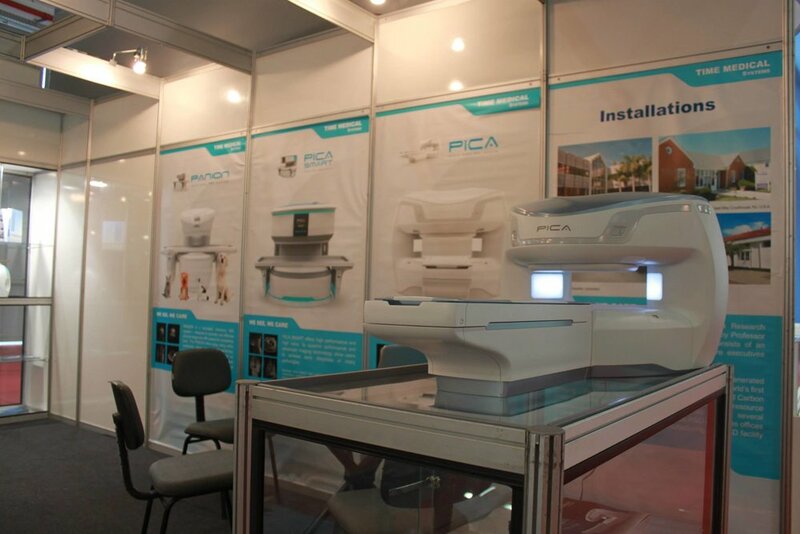 More than 20 countries, agents and hospital representatives, and reached a number of procurement intentions. Professor Ma met with CEO of different multinational healthcare corporations to discuss future strategic cooperation. In addition, Time Medical has discussion with the leading institutions such as UCSD, MSKCC and Harvard Medical School MGH in regards to the clinical and preclinical cooperation of the Neonatal MRI, Abbreviated breast MRI and Ultra-high field MRI systems which has reached an initial collaboration opportunity. 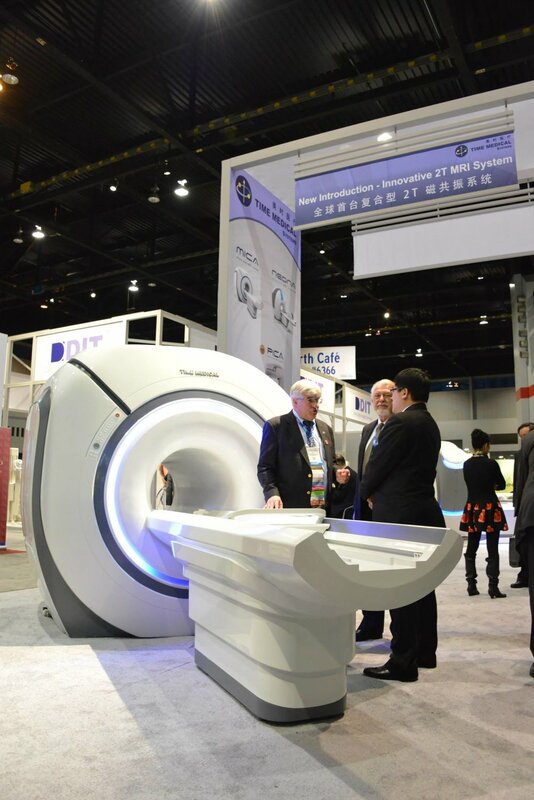 Clinical advisor Dr. William Bradley visited the Time Medical booth and reviewed the 1.5T MICA MRI System. During the exhibition, International Sales & Marketing team from Time Medical received the delegation from the Chinese Society of Radiology and the National Health and Family Planning Commission. Professor Ma introduced three key points to the delegation of which the first one is the paradigm shifting technology and competitive advantages of the products (PICA and RORA) for routine diagnosis at the emerging market such as Asian, African and Latin American. The second point is the importance of differential development of dedicated MRI systems. The third point is the development of mobile MRI system for remote area together with intelligent imaging solutions as well as the 7T small animal preclinical and 7T Whole Body MRI System. 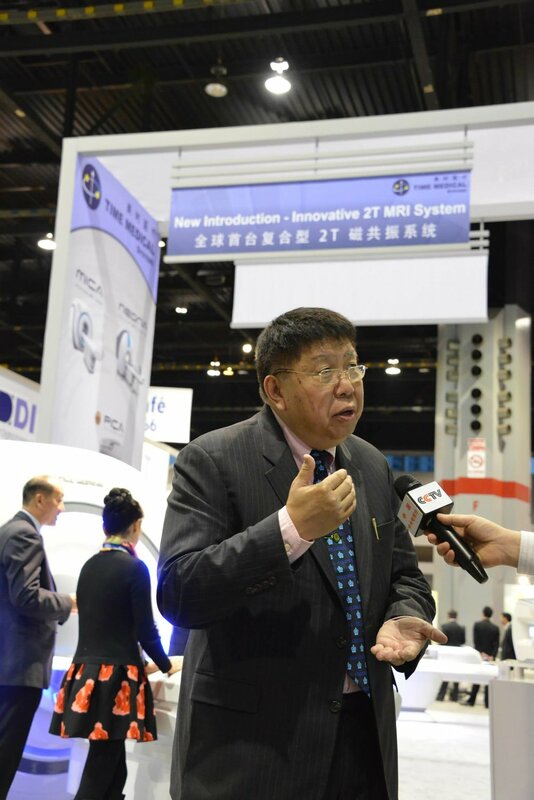 Professor Ma with the delegation from the Chinese Society of Radiology and the National Health and Family Planning Commission at the Time Medical booth. 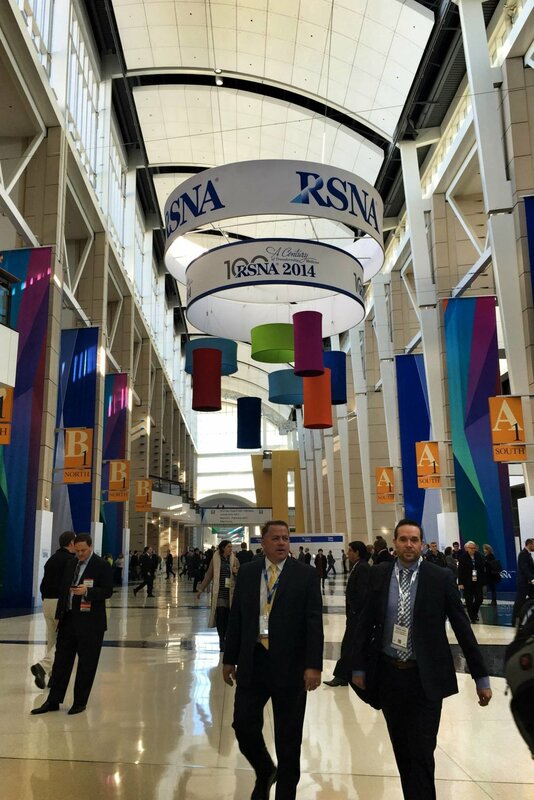 The focus of the RSNA is Machine Learning or Deep Learning, or Artificial Intelligence (AI) in the field of radiological applications, which is controversial since a lot of professionals are worried that the technology will replace radiologists. As an industrial member, Professor Ma participated the CIBR (Coalition for Imaging & Bioengineering Research) Steering Committee meeting and IS3R (International Society for Strategic Studies in Radiology) Interim Meeting 2016. The meeting concluded that AI is inevitable in medical imaging. TM has already been developing AI tech and products, along with major industrial players. 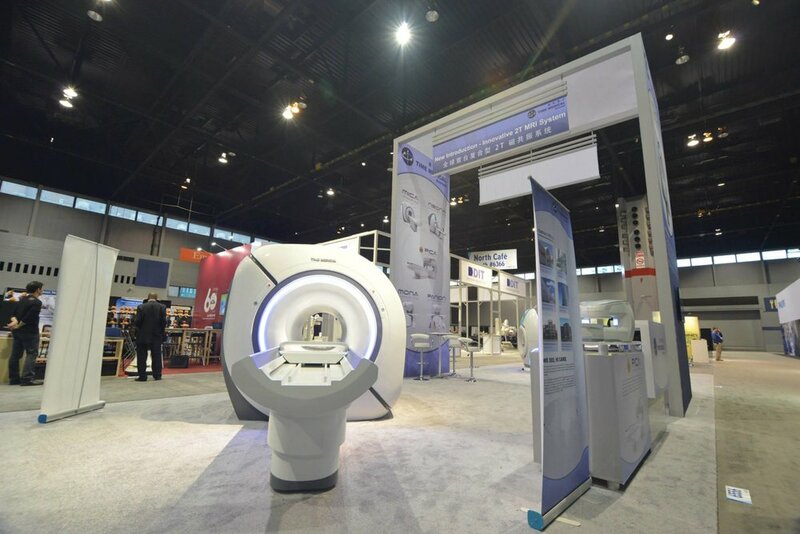 This year marked the 101st anniversary of the Radiology Society of North America (RSNA), and Time Medical Systems was delighted to participate in this Chicago event for the seventh consecutive year. 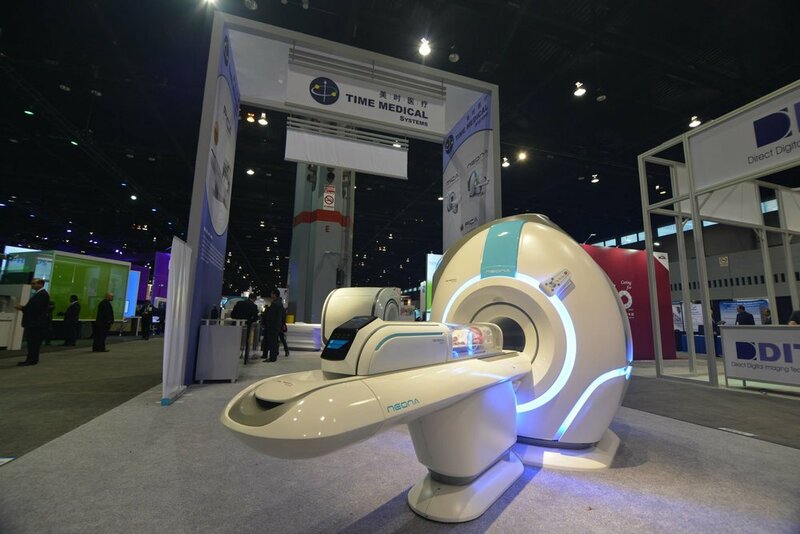 Time Medical Systems continued its tradition to introduce new innovative MRI products at this RSNA show. We were delighted to launch a dedicated Breast MRI System specifically for AB-Breast MRI screening. Time Medical Systems will collaborate with highest level cancer centers in the world, to develop this latest and innovative dedicated MR system. The purpose of developing a dedicated Breast MRI System was to target the diagnosing of early stage breast cancer cases in a short exam time (7-12 minutes) in order to satisfy the concept of abbreviated breast MRI screening. This new technology could eventually replace the current mammography scans with more accurate results. Currently, mammography as used today has difficulty with Dense Breasts (approximately 30% in West and 60% in Asia ) and high false-positive/negative diagnosis rate of approximately 40%. Moreover, MRI scans are a much safer choice compared with mammography scans that use ionizing X-ray exposure. Dr. William Bradley, Past President of ISMRM and Chairman Emeritus of Radiology department of UCSD, acknowledged that a revolution of breast screening would be brought forward by this Abbreviated Breast MRI System technology and approach. The goal of Time Medical Systems is to develop this system to benefit more women who are potential victims of breast cancer. The system is designed for rapid scanning of breast patients which, in turn, keeps costs down. It is very important for breast cancer patient to receive early diagnosis and treatment, in order to lower the overall death rate for this common disease. There was also considerable interest with another future product introduction? 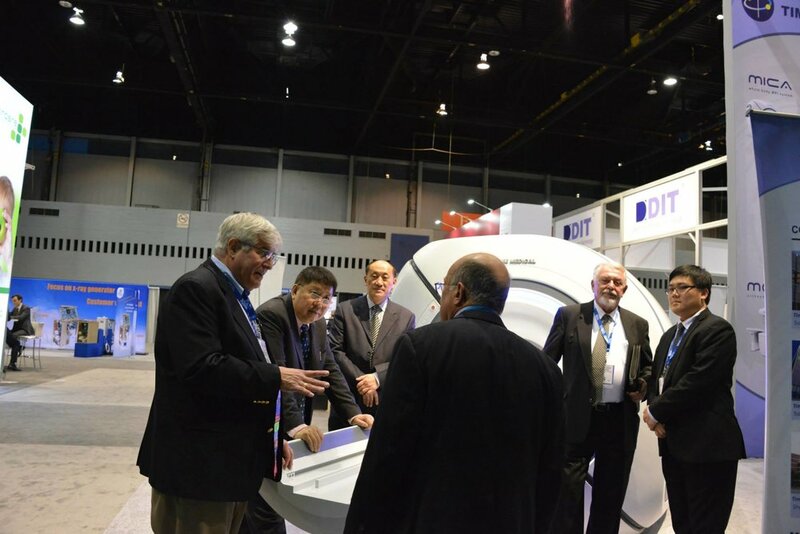 at the Time Medical exhibit - the 1.5T / 2T MICA MRI system. This new scanner was described as the first Whole Body Clinical MRI that would offer the benefits of HTS (High Temperature Superconducting RF Coils) which improves SNR (Signal to Noise Ratio) and thereby improves MRImage Quality in terms of higher image resolution and faster scan times. This product offering at 1.5T or 2T, depending on local country regulations, will offer the highest image quality per unit cost. This value proposition is well understood in the Diagnostic Imaging community and this product will continue to excite customers across the globe in the upcoming years.